Skipped everything else and scrolled all the way here? I get it - cost is an important factor in deciding which photographer you choose, that’s why the investment page is one of the most frequently visited on a website. The above session fee includes all of the expertly-edited, high-resolution digital photographs from your session presented in an online gallery for viewing and sharing, (the digital files are yours to keep forever). 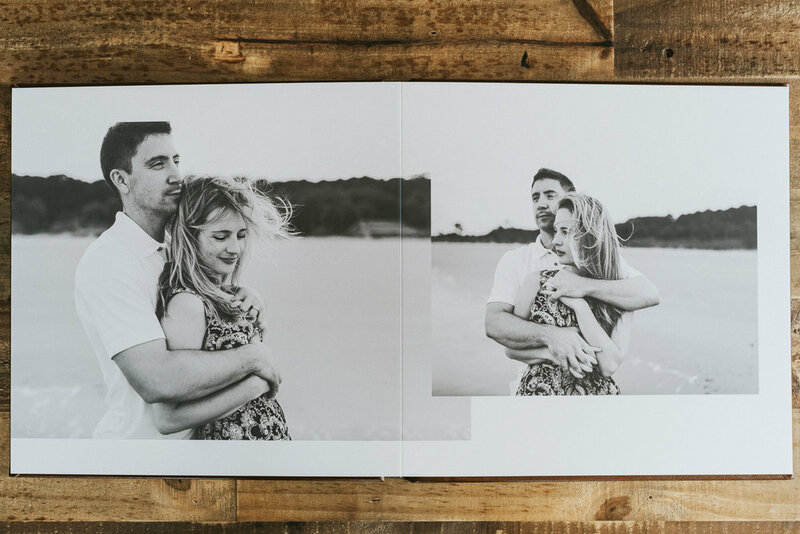 I’m all about tangible, printed memories - If you are too, I'd be thrilled to design an heirloom album or custom art piece for your home. The archival quality products that I offer are the finest available, ensuring that your legacy is preserved with nothing but the best - art that you’ll treasure for a lifetime. All other travel session rates vary depending on how far we’re going, just tell me your desired location and I’ll provide you with an exact number. If you book a session in a location I’m already traveling to, travel fees may not need to be applied. See below for my updated travel schedule! I truly believe that the photographs that document your love are best preserved through print. If we share that belief, I’m here to help you. Whether you're looking to create art that your grandchildren will look through on rainy days or statement pieces to give your home a touch of you, I’ll make sure you walk away with art pieces even more beautiful than you’ve envisioned.